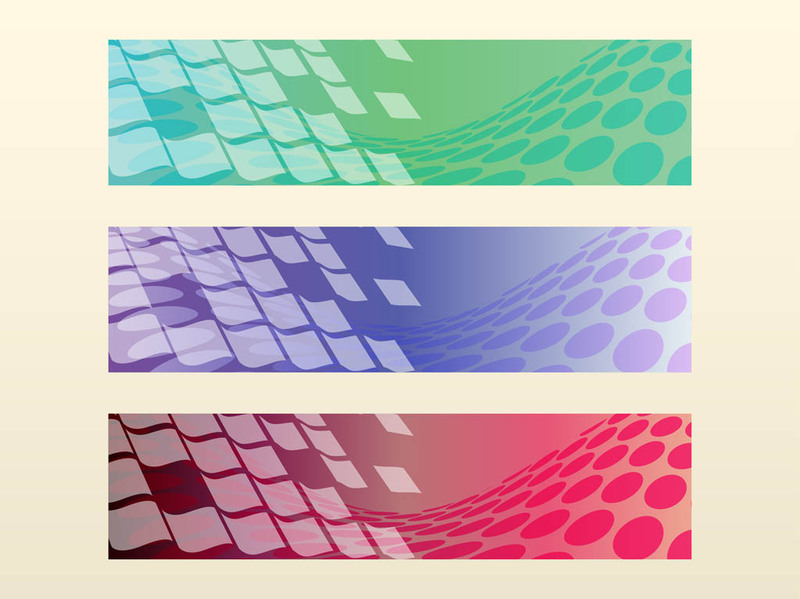 Abstract vector banners in different bright colors. Rectangular gradient colored banner templates decorated with waving and warped rectangles and circles. Free vector design to create banners, website buttons, online adverts, stickers, product labels and poster decorations visuals. Tags: Abstract, Banners, Circles, Dots, Geometric Shapes, Geometry, Website Buttons.